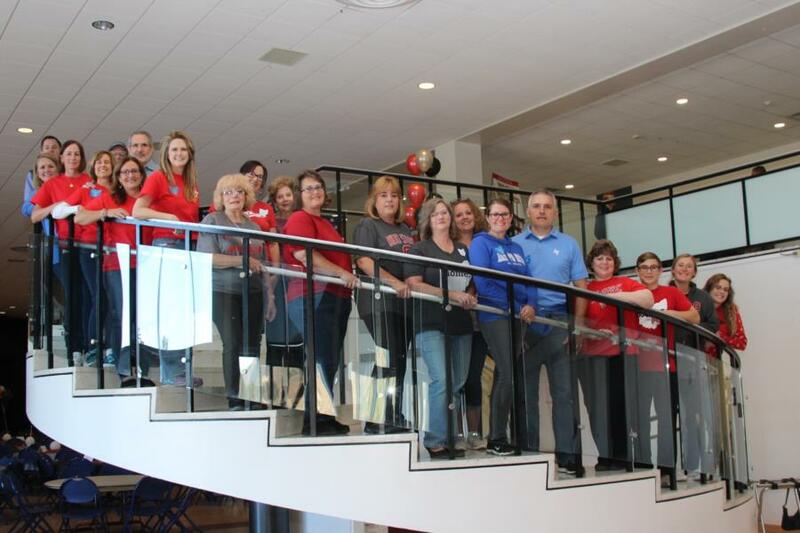 This year the 2nd Annual All Ohio Night was hosted during the day, since the Parents Clubs wanted to center the event around the Ohio State University Football game . 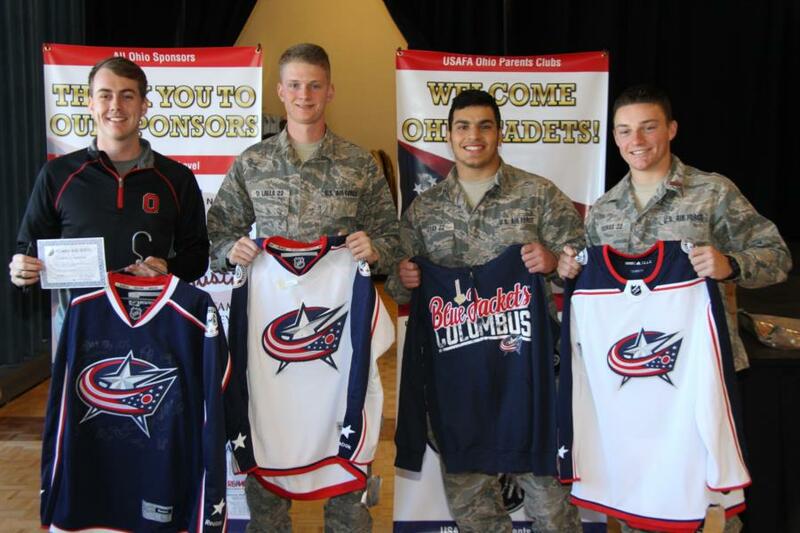 There were 118 Ohio Cadets registered and with their guests the total registered cadets numbered close to 300. 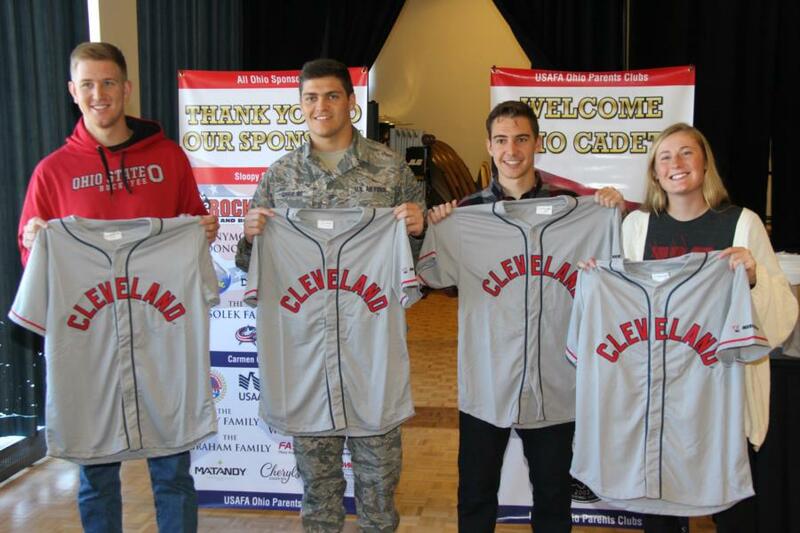 The Parents Clubs wanted to bring a taste of home to the Ohio Cadets. 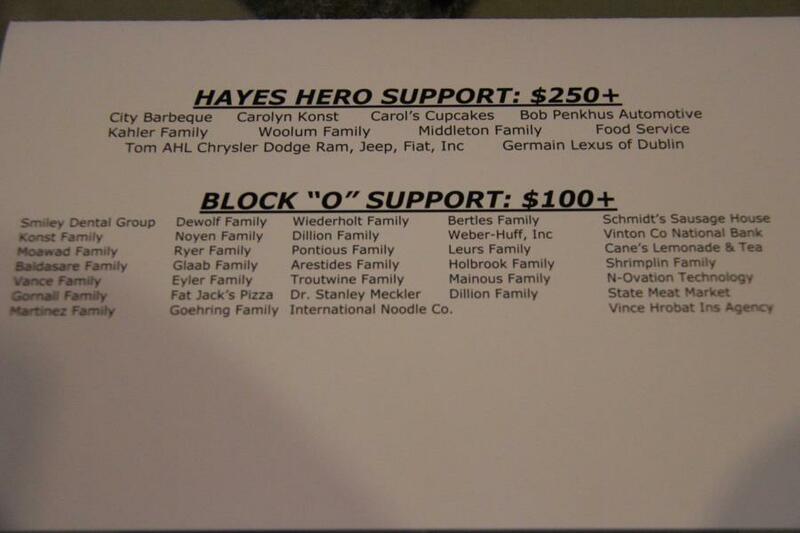 They were lucky enough to have several restaurants and businesses help with their cause. 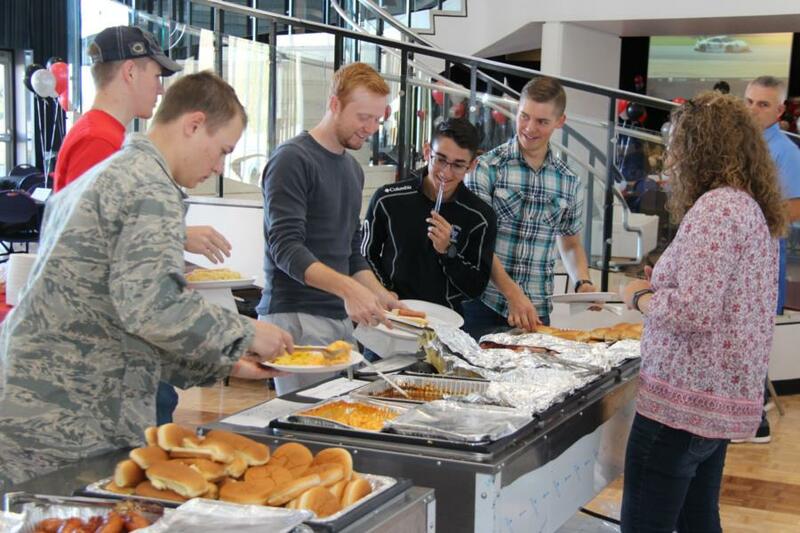 Just a sample of the food included: Skyline Chili, Donato’s Pizza, City Bbq and Bahama Mama’s from Schmidt’s Sausage House. We were told that you can’t have an Ohio themed event without BUCKEYES (candy made from peanut butter fudge dipped in chocolate with a circle of peanut butter exposed at the top. One of their parents made over 1500 of these for the event! 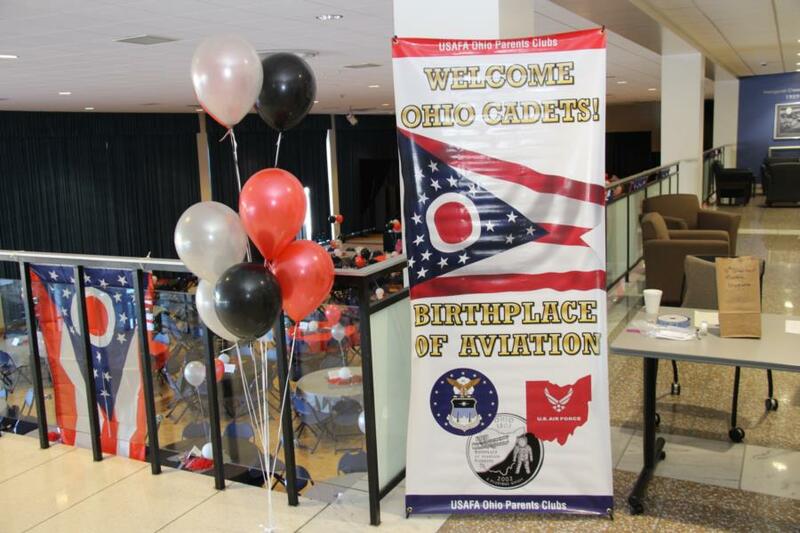 The inspiration for the Ohio Themed Day was to give the cadets from Ohio and their friends a day to relax, enjoy a variety of foods from home, be entertained (with the football game and other provided activities) and to enjoy door prizes. 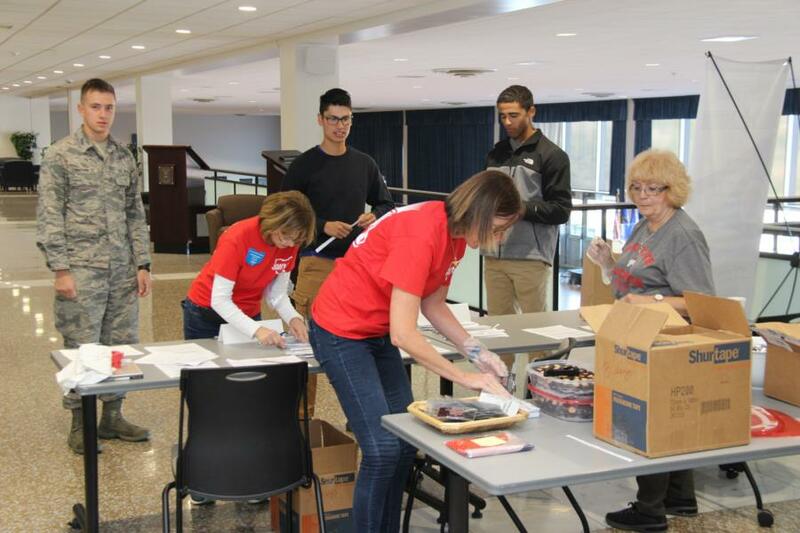 Volunteers from all 4 Ohio USAFA Parent’s Clubs were involved in making the event happen. Many donated money, called vendors or provided door prizes. 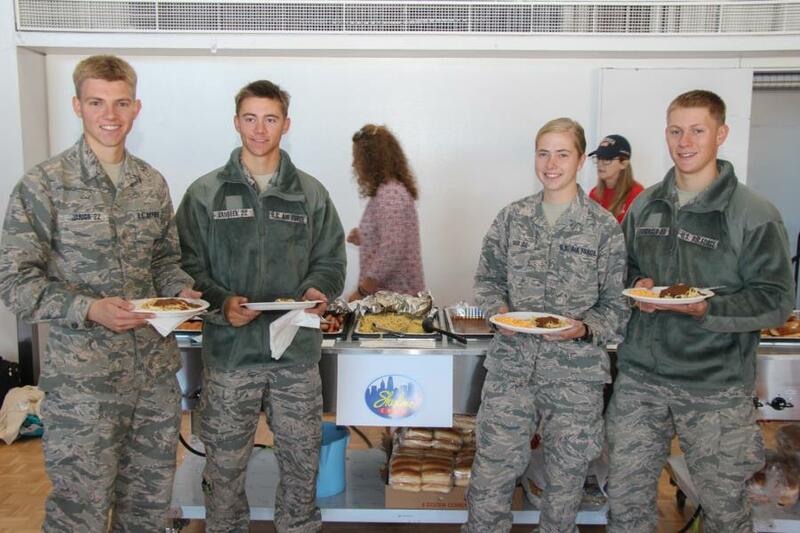 They had 22 parents and family members on site at USAFA who volunteered to fly out and help with the event. 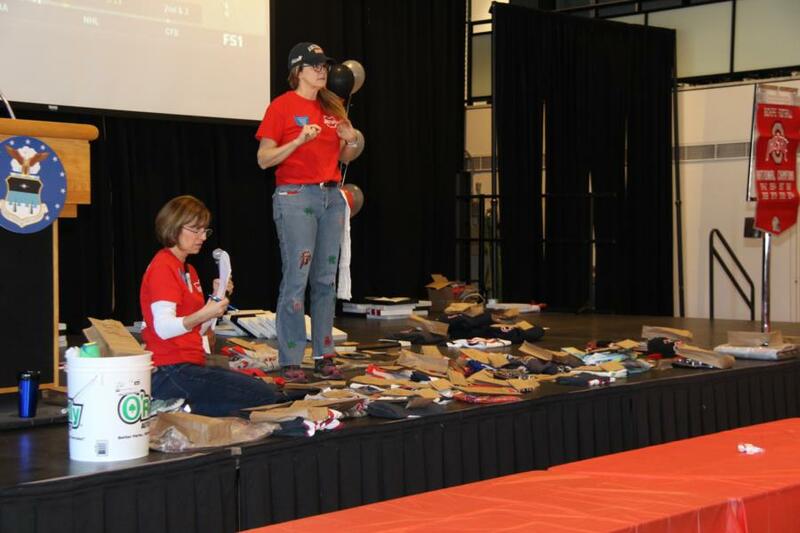 The Major sponsors included: Rocky Boots (donating 10 pairs of boots), Netjets, Nationwide Insurance, an Anonymous Donor, Bluejackets Foundation, Skyline Chili, Donatos, DSW Designer Shoes, Ohio Amvets, USAA, Fastsigns, Chick-fil-A and Matandy. 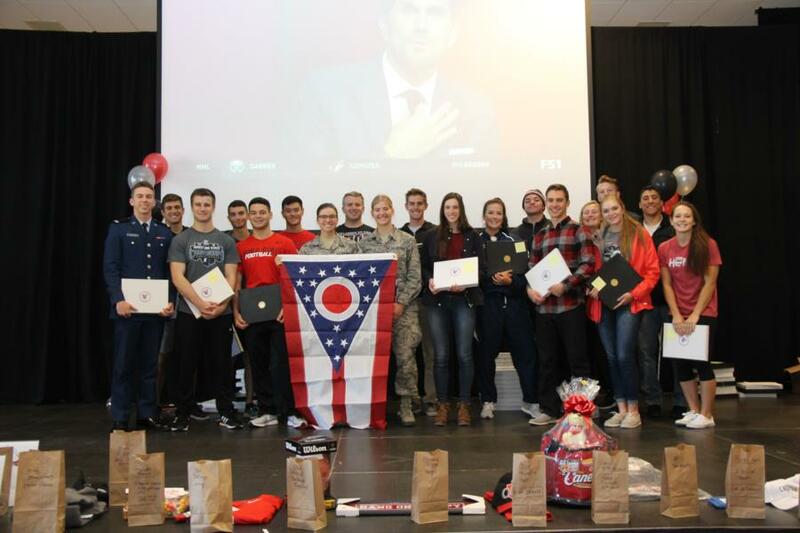 The Ohio Cadets each received a state flag (which is unique because it is shaped like a pennant) and an Amazon gift card. They had numerous door prizes to give away. 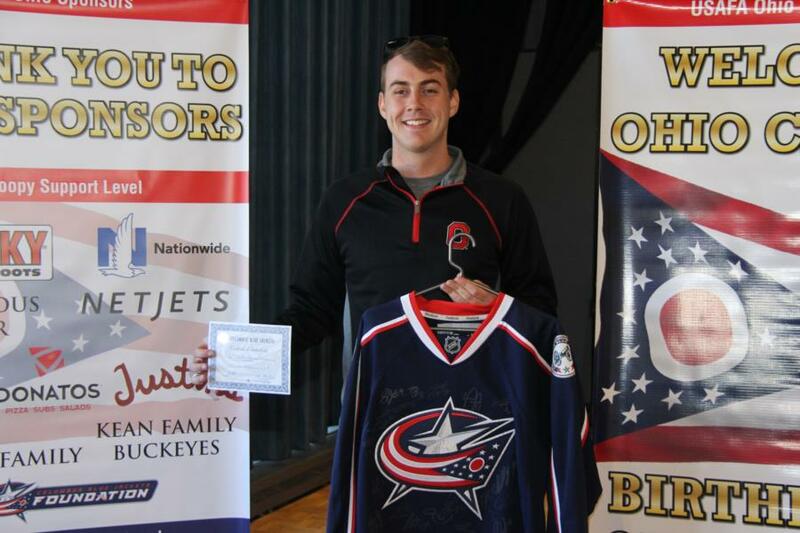 One of their biggest door prizes was a Blue Jackets hockey jersey signed by every member of the team, complete with a certificate of authenticity. 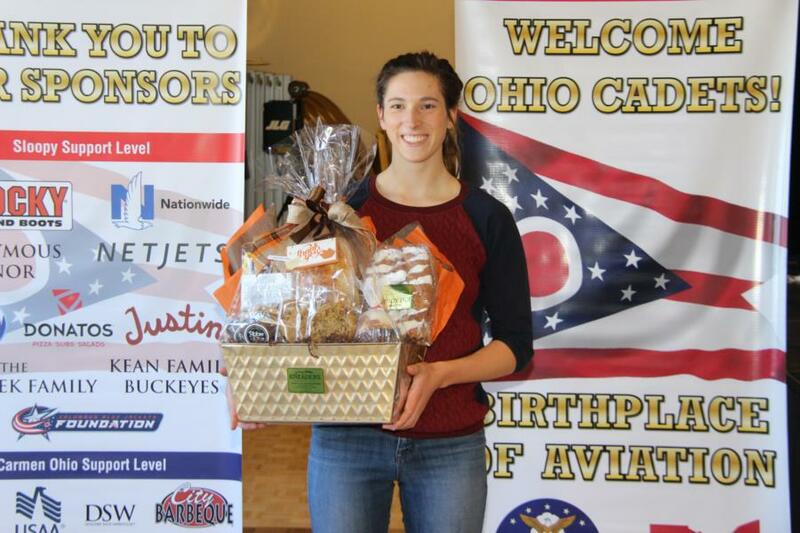 They gave out door prizes to all attending Ohio Cadets and their guests. 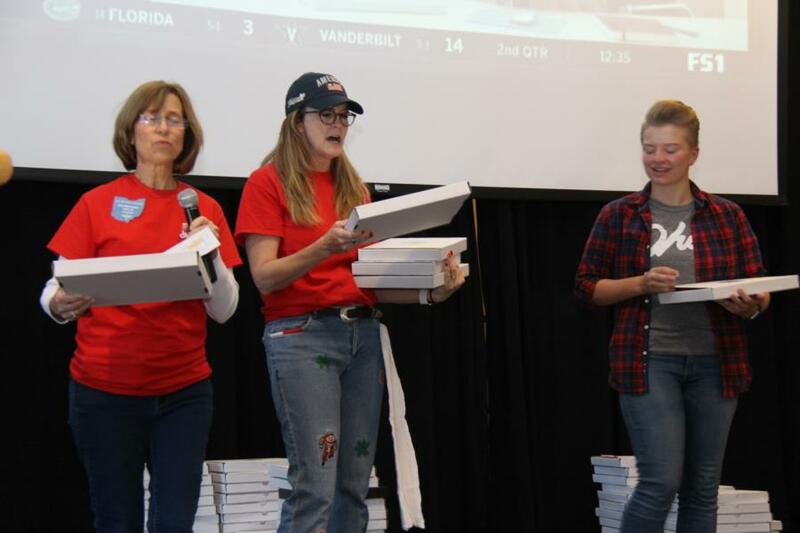 To view the rest of the pictures from this event go to: Galleries-Extracurricular-Special Events or click the link below.